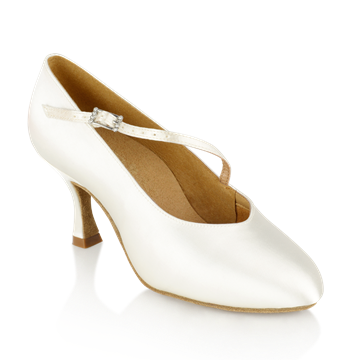 Arctic; Flesh satin Ladies` Standard dance shoes. 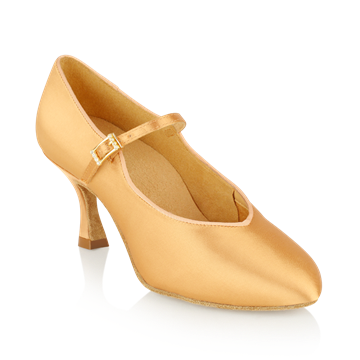 Hand crafted to the highest possible quality, our satin Arctic dance shoes are perfect for professional and competitive dancing. 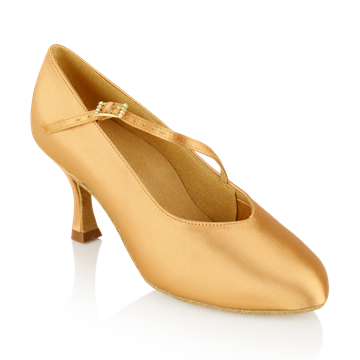 These beautifully made dance shoes have characteristics that have been specially incorporated. 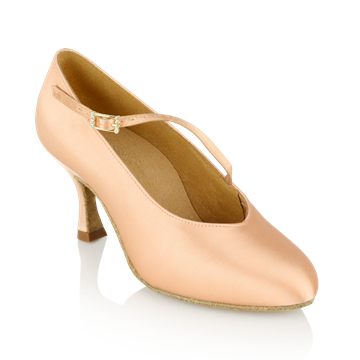 These include non slip, anti slide heel tips, enhanced heel support through the use of sports grade material, together with a latex inner sock, incorporating metatarsal and arch support. The lining and socking have antibacterial properties. 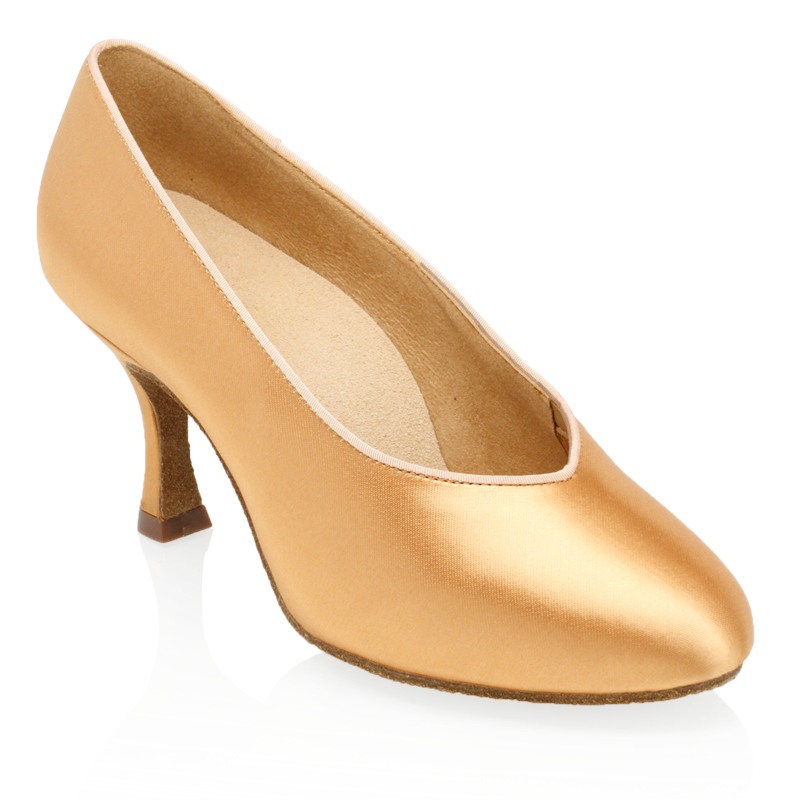 The shoe benefits from a pointed toe shape. 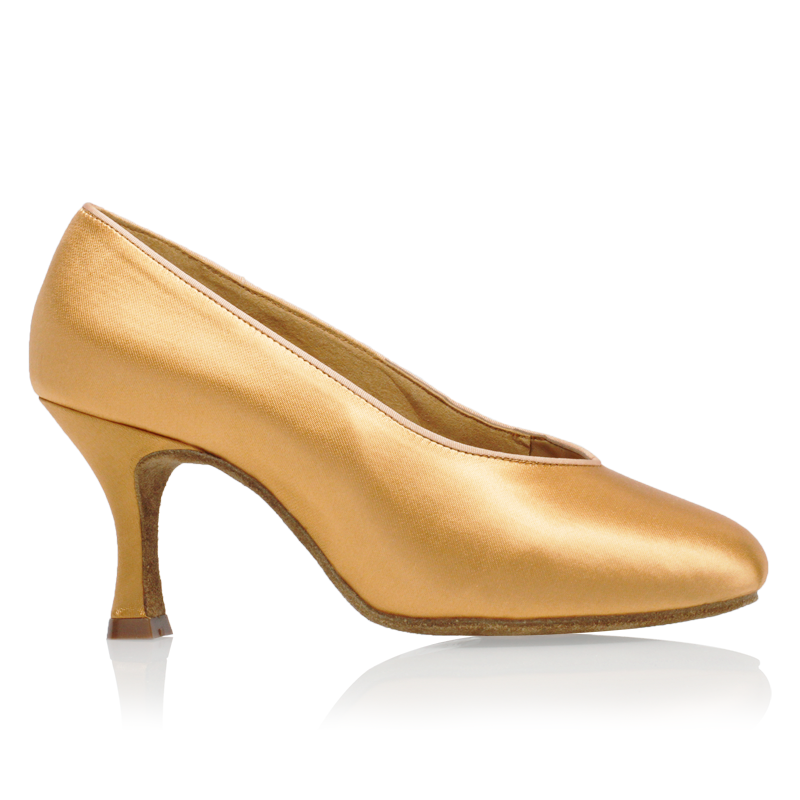 • Rounded toe shape, with a V shaped throat. • Biomechanically developed latex shock absorbent innersock with integral arch/ metatarsal support.